Bakemonogatari continues to be a series that defies all accepted conventions and refuses to be pigeon holed. I don't know how you would literally pigeon hole a series, I assume you'd simply slip the optical disk into a letterbox and be done with it without much trouble at all, in which case the analogy in this example is flawed. I talk myself into corners without anyone else assisting. 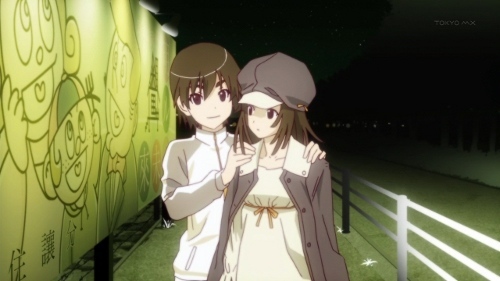 This was a continuation of the Nadeko Snake story arc that started with episode 09 where Koyomi has (once again) taken it upon himself to help save a person with a spiritual oddity that's hurting themselves and their very existence. How nice and selfless of him ;). 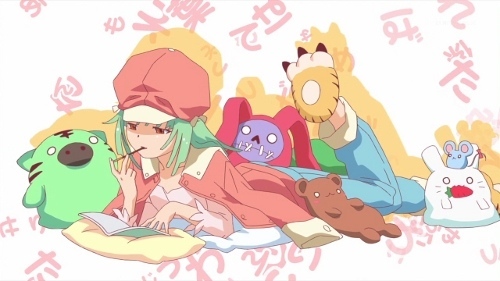 After consulting with Epic Hawaiian Shirt Guy he realises Nadeko actually made her situation worse by killing snakes near the abandoned shrine, and the only way to free her from their grip that's causing the marks all over her body is to return to said shrine and prey a special incantation. I think that's what it was, feel free to correct me! 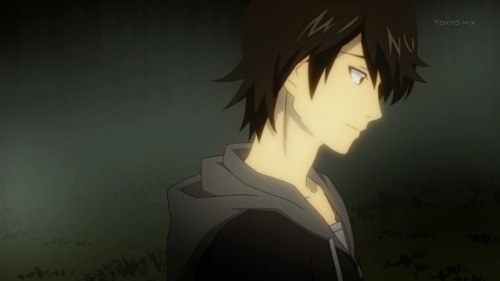 We see more of Suruga because he enlisted her help, but for the second episode we don't get to see any of Her Senjougaharaness which as a fanboy I found hard to deal with, but don't worry I'm getting over it :). 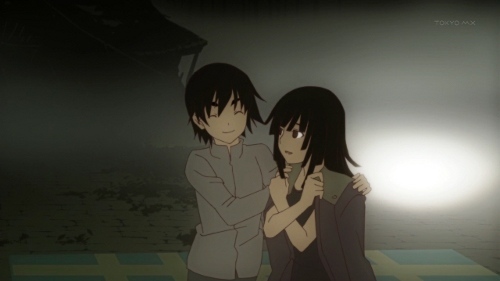 Suruga stands by with Koyomi during the exorcism but jumps in to help once Koyomi can't take on the spirit by himself any more. Turns out it's hard for him to tackle a real oddity because by being a bit of a vampire himself he's an oddity too. Oh yeah, and apparently it seems if Koyomi had watched Code Geass he would have liked the superfluous maid cafe episode, ha! :D. Cue a "what I was expecting, what I actually got" comic. In yet another unexpected twist we got another random new opening credits song and lighter graphics which I thought were lots of fun! I'll come right out and admit the closest I've got to listening to J-pop and Japanese music is Japanese bossa nova like my idol Lisa Ono (start your jeering, I don't care!) but I'll definitely have to get the sound track for this series. Staple Stable! I know it's getting extremely boring and old to read, but I also have to say the graphics in Bakemonogatari continue to amaze. Honestly, the art is absolutely stunning and sometimes just downright surreal, I really hope they release an artbook or Megami for example releases an issue with art from this series. The character designs are awesome in their own right, but the scenery is on an entirely different level. I said this before, but if this series comes out on BluRay I'll be buying a PS3 slim JUST to watch it and take desktop background screenshots! I'm really, really happy I was able to start the reincarnation of my lost anime blog here with a series like this. It's not my favourite of all time, but it's in my top 5, and certainly helped with the crushing anguish of season two of Haruhi that had the potential to be earth shattering and awesome but failed on almost every level. Granted I gave up midway through the Endless Eight and didn't watch anything more after that, perhaps I should give it another try. In the meantime, I'm glad Nadeko is all okay, isn't that a nice ending? :). Older post → Alternatives to Firefox?